Darlene Real-Higginbotham is a dynamic sought after professional speaker, published author, consultant and coach. 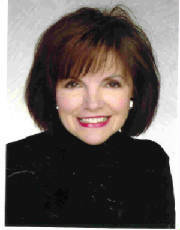 She is President of Appearance Matters Inc., founded in 1985 and was originally called Real Design. It was first created as a personal and professional wardrobe planning and shopping business, as well as the production of fashion shows, etiquette seminars and workshops. Today, Mrs. Real-Higginbotham is a keynote speaker, consultant and trainer on Professional and Personal Dress, Fashion and the Manners that Matter Most. that when employees look better and act better, productivity rises. Providing and encouraging audiences and clients with up-to-date information on appearance and etiquette that moves them to action, creating more confidence and better relationships in their professional and personal lives.